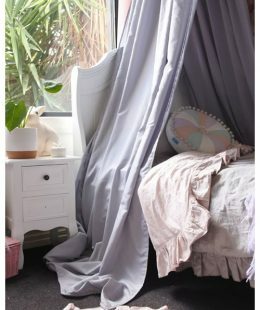 Designed in Australia, this grey bed drape canopy is timeless. It works well with any bedroom style and adds charm to any space. Get it delivered for FREE in 2-4 days NZ wide! 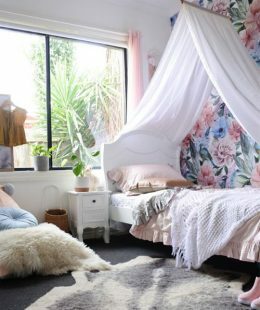 Designed in Australia, this white bed drape canopy is timeless. It works well with any bedroom style and adds charm to any space. 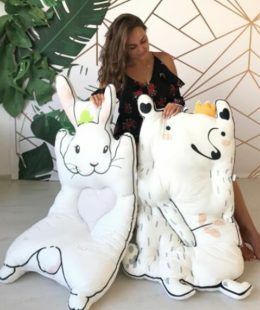 Cute, soft and light floor cushion/mat. 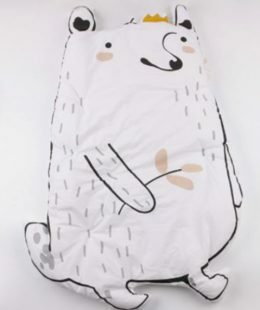 This Bear rug is a nice and snuggly place for your baby. It’s a stylish and practical detail of the nursery. The cover layer is cotton, inner polyester. Thickness is similar to light duvet (about 2 cm). 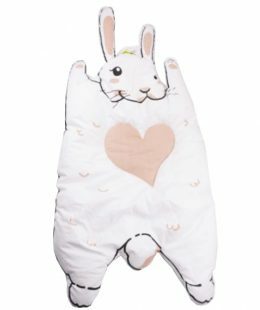 Soft and light, this Rabbit floor cushion/play mat can be used as a nice and snuggly place for your baby. 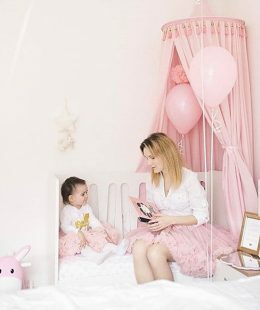 It will be a stylish and practical element of the nursery. The cover layer is cotton, inner polyester. Thickness is similar to light duvet (about 2 cm). 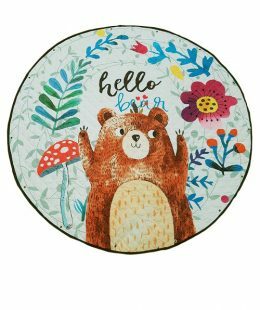 High quality large round 150 x 150 cm baby and kids play mat with a wonderful design. 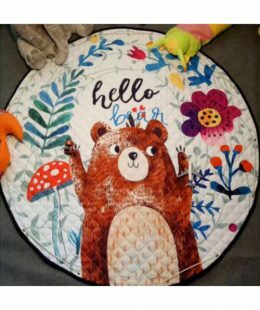 This play mat is a great addition to the nursery. Made from cotton with a polyester lining, it’s light and portable, and machine washable. 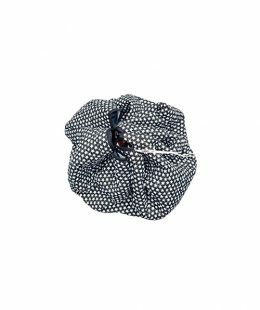 It easily converts into a toy storage bag – just pull the string! The play mat is slightly padded and features anti slip backing. You can use it for years – for baby tummy time, infant crawling, toddler and kids play time and as a toy storage bag. Comes in a nice bag. Great gift idea! 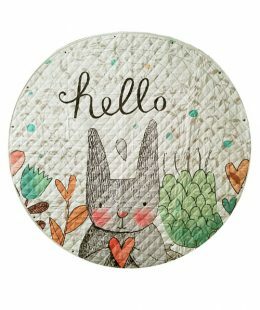 ‘Hello Rabbit’ round 150 x 150 cm baby and kids play mat is a great addition to the nursery. Made from cotton with a polyester lining, it’s light and portable, and machine washable. It easily converts into a toy storage bag – just pull the string! The play mat is slightly padded and features anti slip backing. You can use it for long – for baby tummy time, infant crawling, toddler and kids play time and as a toy storage. Hello Bear! 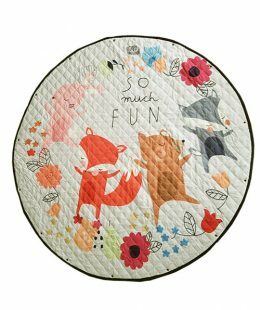 Large 150 x 150 cm round baby and kids play mat is a beautiful and practical addition to the nursery. It easily converts into a toy storage bag – just pull the string! 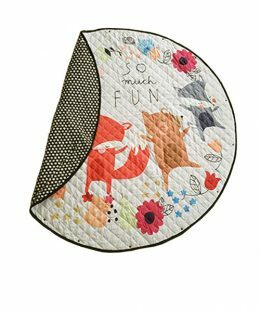 This cotton rich play mat is slightly padded and features anti slip backing. 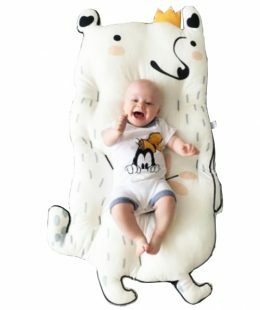 It’s light and portable and can be used for a long time – for baby tummy time, infant crawling, toddler and kids play time and as a toy storage. 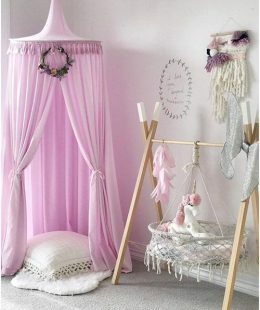 Create a perfect space for a dreamer, fairy catcher or lover of magic and imagination with Freddie & Ava’s children’s bed canopy. Designed in Australia, this white bed canopy is timeless. It works well with any bedroom style and adds charm to any space. 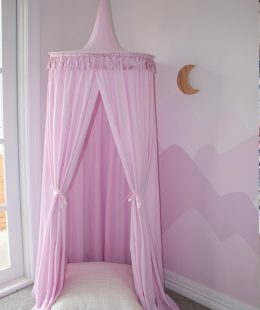 These bedroom canopies are also perfect as a bed tents for kids, creating a cozy sleep space. Give it a personal touch with hanging fairy lights or flowers from the central ribbon loop and open and close the canopy using the draw back ties. 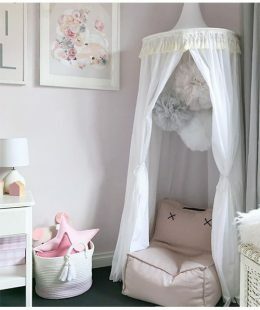 Bedroom canopy hangs 210cm high with a 70cm hanging ribbon, and 62 cm in diameter. Get it delivered for FREE in 1-3 days NZ wide! 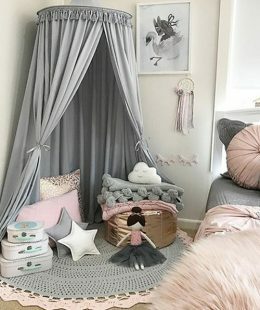 Create a perfect space for a little princess, dreamer, fairy catcher or lover of magic and imagination with Freddie & Ava’s children’s bed canopy. 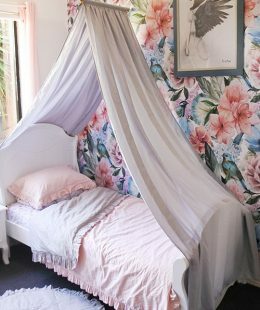 Designed in Australia, this pink bed canopy is timeless. It works well with almost any bedroom style and adds charm to any space. Create a perfect bedroom or playroom for a little prince and princess, dreamer, fairy catcher or lover of magic and imagination with Freddie & Ava’s children’s bed canopy. 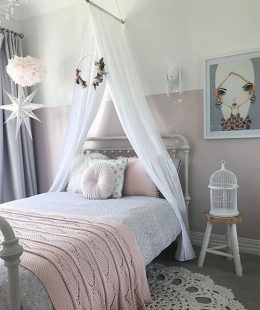 Designed in Australia, this light lilac bed canopy is timeless. It works well with almost any bedroom style and adds charm to any space. These bedroom canopies are also perfect as a bed tents for kids, creating a cozy sleep space. Give it a personal touch with hanging fairy lights, flowers or other decorations from the central ribbon loop and open and close the canopy using the draw back ties. Create a perfect bedroom or playroom for a little prince and princess, dreamer, fairy catcher or lover of magic and imagination with Freddie & Ava’s children’s bed canopy. 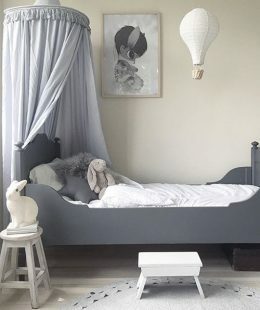 Designed in Australia, this light grey bed canopy is timeless. 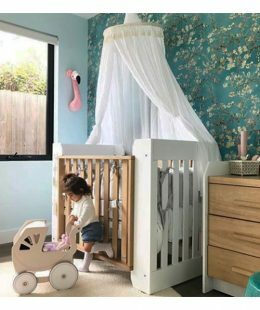 It works well with almost any kid’s bedroom style and adds charm to any space. Get it delivered in 1-3 days for FREE NZ wide!